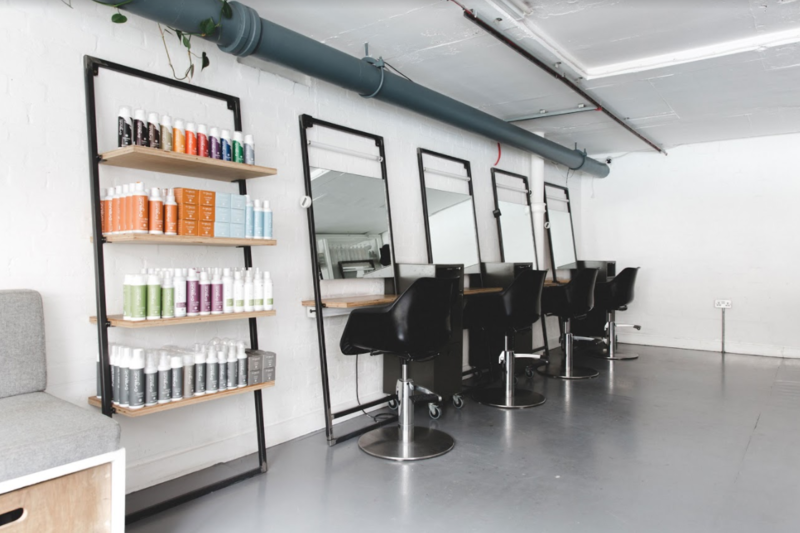 In this month’s edition of ‘Salon Design Of The Month‘, we speak to Olivia Crighton, Director and Founder of the Glasshouse salon based in the creative East End of London. 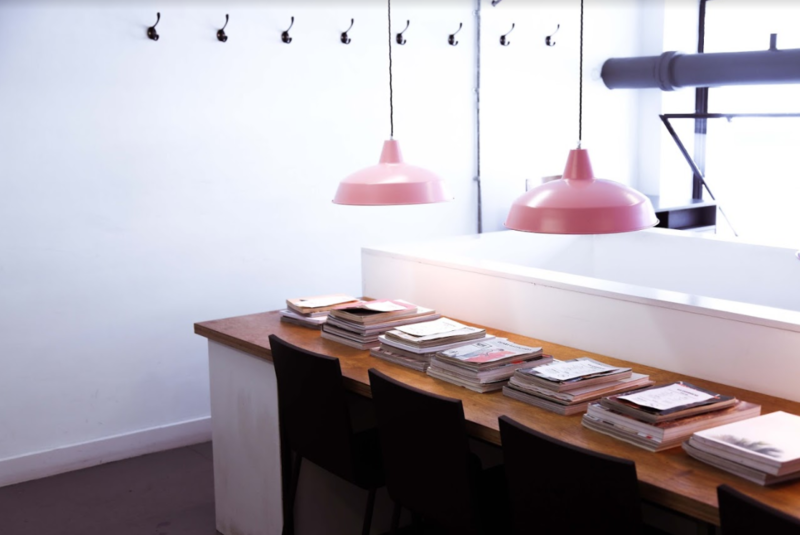 The Glasshouse brand, which specialises in modern cuts and colour, not only has an organic consciousness in the salon, but also includes a lifestyle journal, as well an extensive online shop delivering natural and organic hair and beauty care to Glasshouse clients and consumers alike. Tell us more about how Glasshouse started? I opened Glasshouse Salon back in 2013 in Netil House, East London. 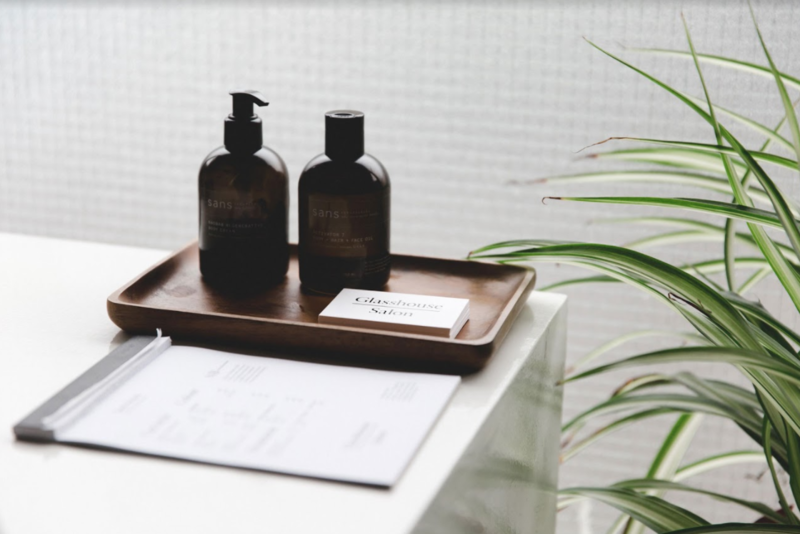 I saw a real gap in the market for hair care that minimised the use of harsh chemical ingredients and prioritised hair condition before anything else. I had been working freelance as a salon educator for Organic Colour Systems but also doing my own clients. Part of what they enjoyed was the personal service, and it was difficult to find alternatives to conventional hair colour at the time in London. Demand became high and it seemed a natural next step to open a salon of my own. How does Glasshouse stand out from its competitors, especially in the LDN market? For us, it’s about combining high-performing hair colour and care with a real focus on natural and organic ingredients that maintain healthy hair condition. This already makes us stand out in a market that’s crowded with salons who aren’t putting hair condition at the forefront and are using ammonia-based colour, for instance. 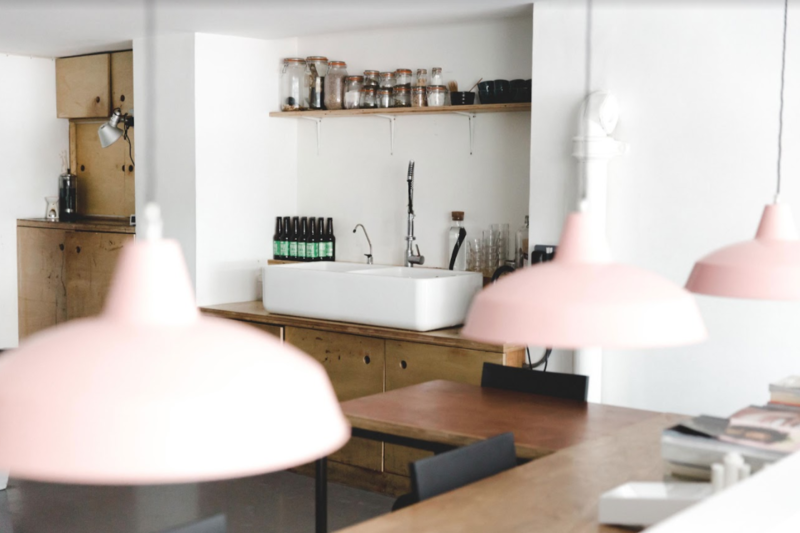 However, I was well aware when I opened the salon that the organic market had a bit of an outdated image – it wasn’t seen as particularly ‘cool’ and my aim was to create an environment that challenged this. I wanted to prove that organic hair colour didn’t just have to be on a shelf in a health food shop, but in a space that was well-designed and had a real emphasis on aesthetics. We created the salon with that in mind and it’s something we continually maintain through everything from our online journal to our Instagram feed. How did you decide upon the aesthetic of the salon? What inspired you? Before Glasshouse Salon opened, I would often work with clients in my home. I wanted the salon to have the same welcoming, laid-back feel, as often salons can feel little intimidating. The long table in the centre of the salon mimics my kitchen table. 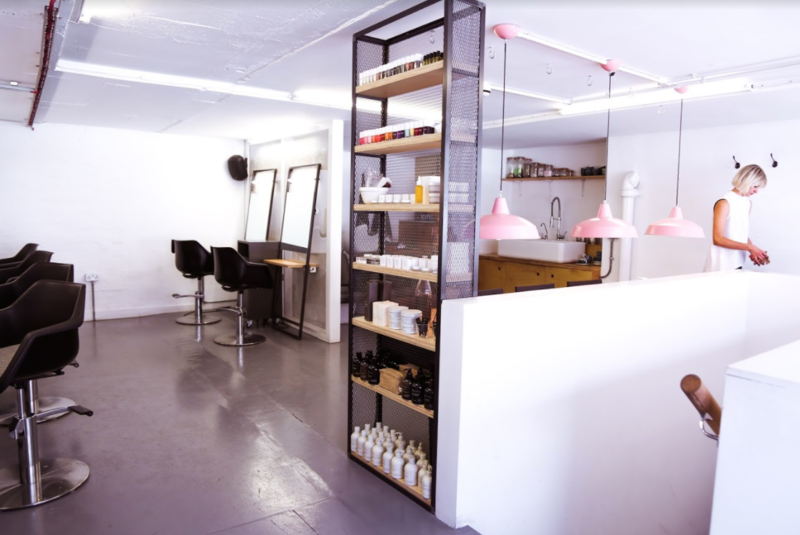 It works really well as it’s a space for clients to try on makeup, do some work whilst their colour is processing and it also functions as two extra stations which we can hang mirrors above. Myself and my designer Tim Rundle specifically chose natural fabrics and materials where possible, to keep in line with our environmental ethos. The plant area in the corner was also something I wanted to incorporate into the space. It nods to the ‘natural’ element of the business but also brings the outside in and just generally instills a feeling of calm in the salon. 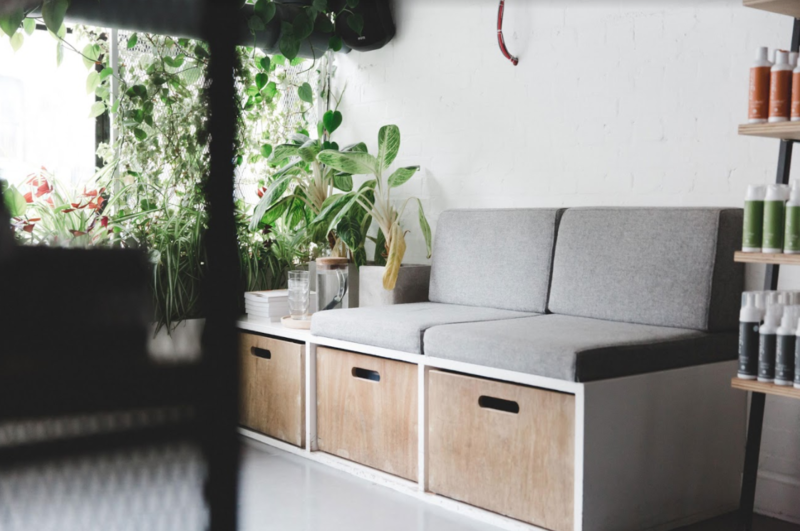 We released a survey last month and asked our clients what they liked best about the salon, and so many came back and said they loved the pared-back, more DIY feel to the place and that it was different to other salons they had experienced, which is great to hear. This aspect of the Glasshouse ethos is integral to everything we do. It’s the primary reason clients choose to come to us so we have to do it with complete transparency and integrity. Firstly, we use hair colour by Organic Colour Systems – the colour is produced using sustainable methods in their factory in the New Forest and it contains the highest proportion of certified organic ingredients and the lowest percentage of chemicals possible to achieve a permanent colour result. This allows us to achieve better colour results on our clients – the low level of PPD and the fact it doesn’t contain ammonia and resorcinol means we minimise the risk of allergic reactions, hair is in better condition, colour takes better, lasts longer and gives a more predictable result. We also stock a range of natural and organic hair and beauty products both in the salon and online. It’s important to me that we only stock brands who’s ethos’ are in line with our own, which means beautiful, high-performing products that are created sustainably and without harsh ingredients. The focus on natural and organic products comes from my own personal interest in the subject, not just through the business but also in my own life. It’s important to me (in my own small way) to make lifestyle choices that try to minimise damage to the environment. For me, it continues to be a rewarding experience running a business in the same way. How does Glasshouse keep up to date with the latest trends within the industry? We try to be trend-aware, rather than trend-led and encourage our team to be the same. The reason for this is that our clients often favour more pared-back, classic styles – things like subtle balayage and a timeless blunt bob are consistently popular. However, our online journal – Glasshouse Journal – is probably the most important aspect of the business when it comes to keeping on top of trends. If we see something crop up on Instagram or regularly requested in the salon, we’ll write about it as a feature. One of our most popular journal stories was about achieving grey hair – at the time it was a real trend in the salon and we wanted to offer our professional take on it. We use the journal as a platform to talk about particular hair and beauty trends, instead of dictating them, and this naturally feeds onto the salon floor as well. What do you think makes a successful salon? For us it’s about minimising the hierarchy that you often find in traditional salons. This means encouraging team work and everyone pitching in at every level – whether they’re a senior stylist or a junior. I’ve worked hard to create a real collaborative feel at Glasshouse and it’s definitely contributed to the salon’s success. What is Glasshouses biggest achievement to date? I can’t say there’s been one particular achievement that stands out, however there definitely has been a culmination of a few which have got us to where we are today. Nurturing a knowledgable team who spread the Glasshouse message with such transparency and care has allowed us to build a loyal client base, letting us grow the salon in the way we have over 5 years. Doing this in a manner that promotes natural and organic products, cares for the client’s hair and helps care for the environment at the same time has been a huge achievement. What advice can you give to other salon owners wanting to open a salon? Always try and put yourself in the shoes of the clients visiting your salon. It’s so easy to forget this when you’re in the midst of opening or running a salon, but at the end of the day, it is the most important thing. What will they see when they enter the space? How will they be greeted? These things are paramount to the success of your salon and should be at the forefront of your mind. Are you leveraging the power of Instagram for your nail salon business?